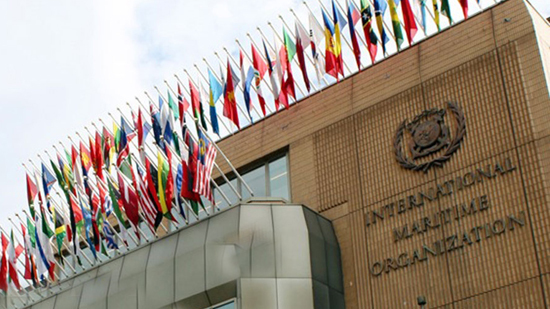 Tehran lodges a complaint with the International Maritime Organization (IMO) against the US over the re-imposition of sweeping sanctions, which target scores of Iranian ships as part of Washington's much-criticized push to cut off the country's oil exports. In a tweet on Thursday, Iran's Ambassador the UK Hamid Baeidinejad said the diplomatic mission under his watch submitted a letter to the London-based body to voice Tehran's protest at the return of the unlawful US sanctions. In the letter, Tehran's Embassy condemned "the imposition by the US of unilateral sanctions on Iran's ships as a measure that violates international maritime law and endangers maritime security." Washington has not even spared Iran's ill-fated Sanchi oil tanker, which collided with a frigate off China's east coast in January and sank with 32 people on board, in a gaffe that drew mockery from Iranian people and officials. On Wednesday, the US warned all ports and insurance companies to steer clear of Iranian ships, with Brian Hook, the State Department's special representative on Iran policy, saying the bans extended to insurers and underwriters. "Knowingly providing these services to sanctioned Iranian shipping companies will result in the imposition of US sanctions," Hook told reporters, adding, "From the Suez Canal to the Strait of Malacca and all choke points in between, Iranian tankers are now a floating liability." Washington had initially vowed to bring imports of Iranian oil down to zero, but it later granted exemptions to eight of Tehran's major customers -- including China, India, Japan and South Korea -- under their pressure. The new round of sanctions, which were reinstated against Iran on Monday, was the second of its kind since May, when the US defied the world community and unilaterally exited a 2015 multinational deal with Iran -- under which those bans had been lifted. A first round was reinstated in August. The UN and the European Union -- which chaired the nuclear talks in the lead-up to the nuclear deal, officially known as the Joint Comprehensive Plan of Action (JCPOA) -- have criticized the US for re-imposing the bans. Iran's other partners to the deal -- France, Britain, Germany, Russia and China -- have firmly defended the deal and vowed serious efforts to protect the international document, which had been endorsed by UN Security Council resolution 2231. The European sides are currently working to put in place financial mechanisms aimed at protecting their business links with Iran and blunting the impact of the American restrictive measures.